While Utah’s 300,000 Catholics have spent the last 21 months anticipating their 10th bishop, another vigil has extended far longer: the hopes of the nation’s 5 million faithful of Asian birth or descent to see one of their own take the reins of a US diocese. And now, on both counts, The Wait Is Over – at Roman Noon this Tuesday, the Pope has named Bishop Oscar Solis (above), the Filipino-born, 63 year-old auxiliary of Los Angeles, to lead a Salt Lake City fold growing at a remarkable clip. The Installation is set for Tuesday, 7 March. 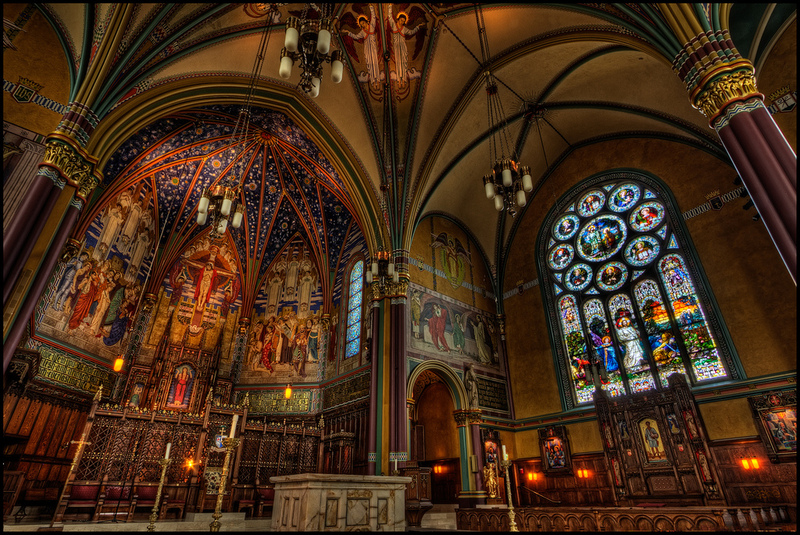 In the center seat of one of Stateside Catholicism’s most picturesque home-bases – the venerable Cathedral of the Madeleine – Solis succeeds now-Archbishop John Wester, who was promoted to Santa Fe in April 2015 after eight years on the Wasatch. Despite his transfer to the “Land of Enchantment,” the San Francisco native – who proved very popular in Utah – has kept an unusually high level of presence in his former charge during the vacancy due to the state’s lack of a resident bishop, leading priests’ funerals and other episcopal functions, and even penning an op-ed for the state's paper of record calling for an end to capital punishment. Alongside the added challenge of the impressive rate of growth, the chair of the Madeleine (below) already placed an unusual level of responsibility upon its occupant. Beyond being chief shepherd of a sprawling, 85,000 square-mile turf that can be daunting to traverse, as head of Utah’s statewide church, the Salt Lake bishop is principal caretaker for the Catholic Church’s relations with the locally headquartered Church of Jesus Christ of Latter-Day Saints (LDS; the 18 million-member global community oft known as the Mormons), as well as being one of the dozen US prelates who serve as sole agent for this church’s advocacy before the respective state government given the leadership of a whole-state diocese. On the whole, it was this scene of often divergent pressing needs and realities that produced Stateside Catholicism’s longest vacancy in close to a decade – that is, in the search for a pick who could sufficiently tackle the post's various roles, above all the rare skill-set of bringing a pastoral experience and presence among immigrants alongside the kind of administrative seasoning that can handle the massive budgetary and practical burdens that come with building for epic growth. At least in this context, that Francis & Co. finally found their man in a protege of the modern era’s emblematic pastor-builder for an immigrant church – LA's retired Cardinal Roger Mahony – should come as little surprise. 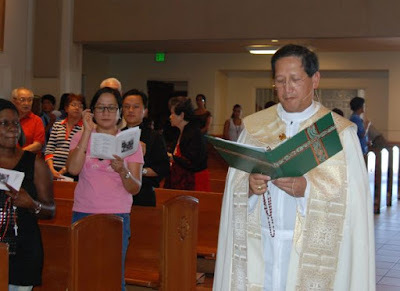 Born in central Luzon, north of Manila, and ordained there in 1979, within five years Solis emigrated to the US amid a call for pastoral workers to serve a rapidly-growing Filipino diaspora, first heading to (where else?) Newark before eventually settling in southern Lousiana’s Houma-Thibodaux diocese. 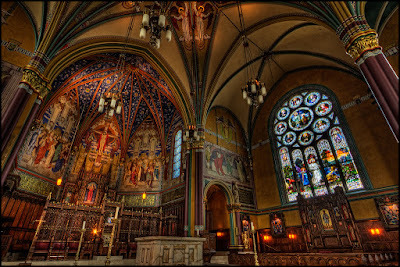 Within a decade, the young cleric became a dean and pastor of one of the diocese’s twin cathedrals, then – just shy of his silver jubilee as a priest – came the call to a different LA: the largest diocese American Catholicism has ever known, where each of the five pastoral regions led by an auxiliary bishop has more faithful than the entire Bayou State. The third and last Asian named a bishop for the US’ Latin church (all until now auxiliaries), as well as the first to be ordained in the Cathedral of Our Lady of the Angels, before taking the helm of the San Pedro Region – comprising 70 parishes, 8 high schools, four hospitals and more in southern LA County – Mahony entrusted his new deputy with a unique assignment upon Solis’ 2004 arrival: shepherding the cultural diversity of the mammoth, 5 million-member archdiocese (itself doubled in size over the last quarter-century) in the hopes of integrating its scores of ethnic blocs across the whole of ecclesial life. Between that latter aspect, a fluency in Spanish, and the administrative profile from his time as a regional bishop, the Pope’s pick – known as a gentle, dedicated hard worker never in search of a high profile – checks the main boxes needed for Salt Lake. Yet as some will undoubtedly wonder why a Hispanic cleric wasn’t chosen – as reported here in prior instances – the national trend remains one of demand for Latino appointees far outstripping the supply of available candidates. Meanwhile, in an additional circumstance unique to the Utah church, given the strong history of Catholic-LDS relations from the Roman church’s days as a very small minority in the state, as the recent Mormon growth among Latinos has already led to pockets of tension in the trenches, in some quarters the prospect of a Hispanic prelate in Salt Lake has been viewed as something which could stoke concerns over Catholic “proselytism,” and thus made for an outcome best avoided. That said, between Solis’ fluency, experience and the simple reality that the famously devout Filipino piety shares its roots in an era of Spanish colonization, little difficulty is foreseen. If anything, that the 10th bishop arrives as an immigrant himself – all the more amid the US church’s annual National Migration Week – sends the most potent signal of all, and one not just intended for the Wasatch. With today's move, seven Stateside Latin sees remain vacant, with another four led by bishops serving past the retirement age.